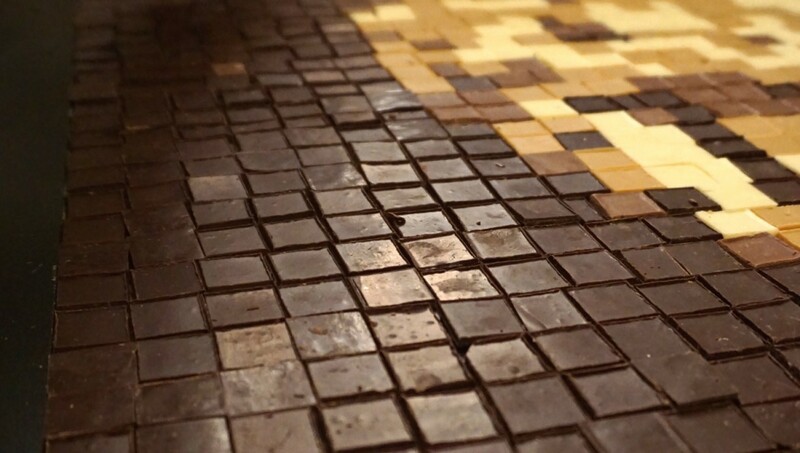 NOV 2015 SWEET CO-CONSTRUCTION /// Chocolatissimo, the festival showcasing Neuchâtel's rich chocolate heritage, asked us to design a participative project for them. 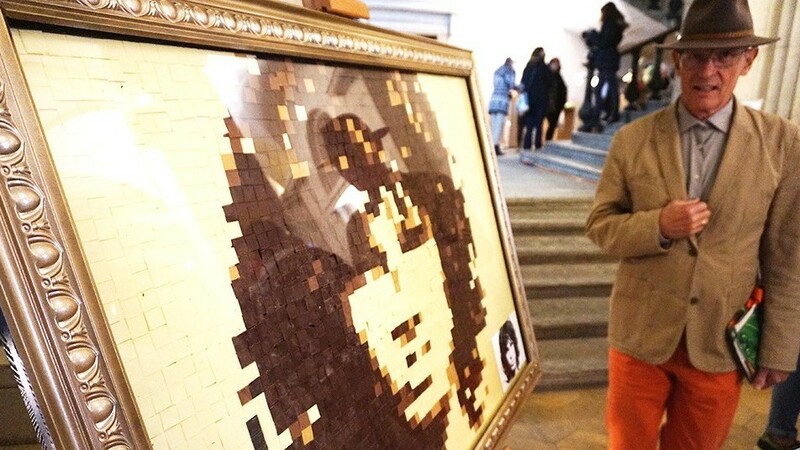 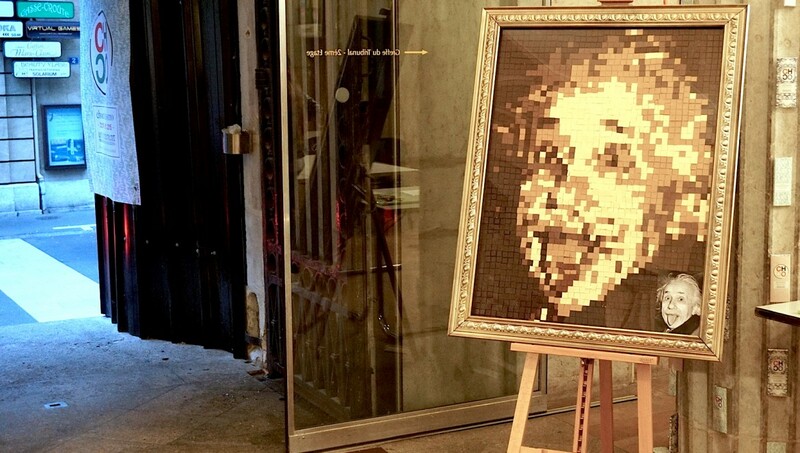 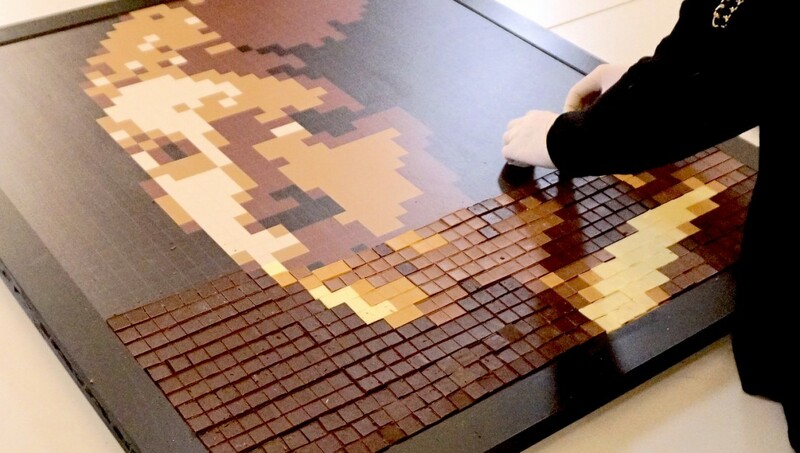 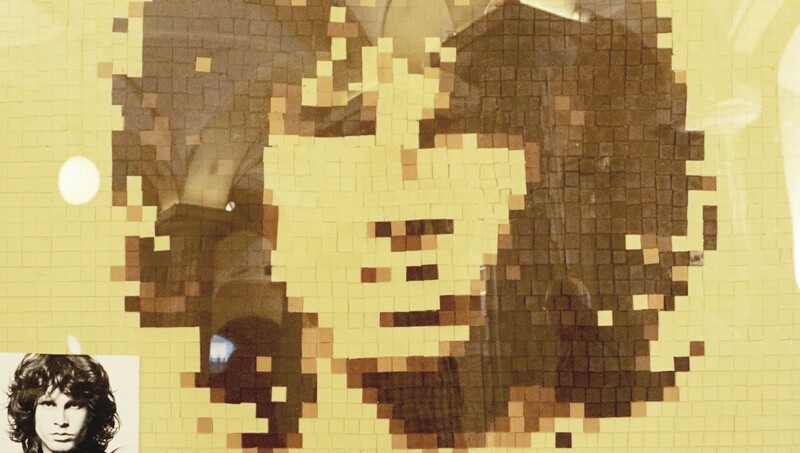 Our love of pixels led to the creation of "Pixel Choc": 100% chocolate participative artworks, in which well-known images are brought to life with different shades of chocolate, one pixel at a time. 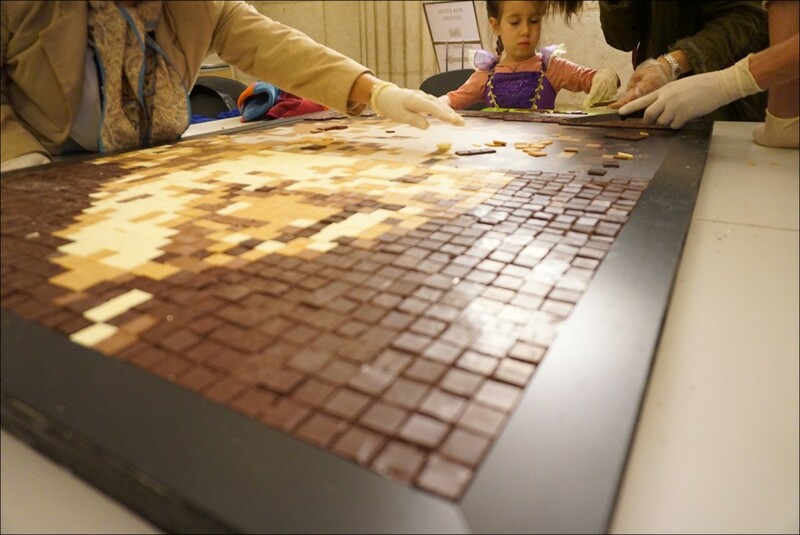 At the end of the exhibition the works are deconstructed and... gobbled up! 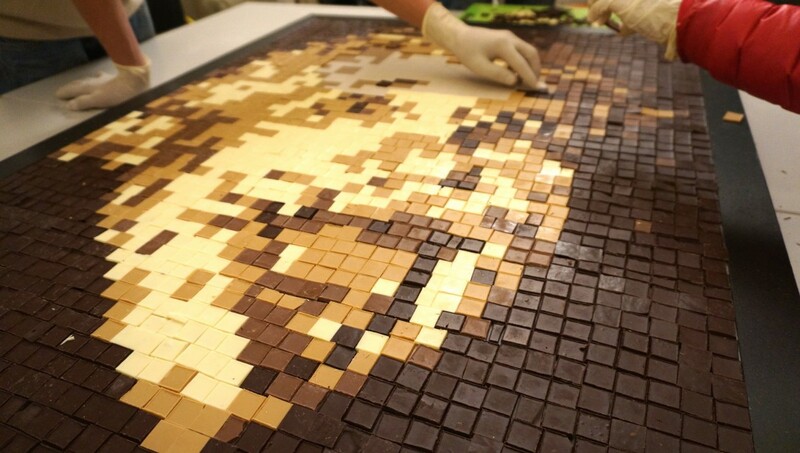 Success (and a few fillings) for this project which attracted crowds and gave media visibility to the festival.